For as long as humans have been cooking food over fire, bone broth—the simmering stock of bones from fish, beef, chicken, turkey and other animals that are typically discarded—has been a daily part of life. And it’s celebrated by cultures around the world. Not only does bone broth add depth of flavor to recipes and meals, it also imparts significant and broad health benefits that are now capturing the attention of millions. 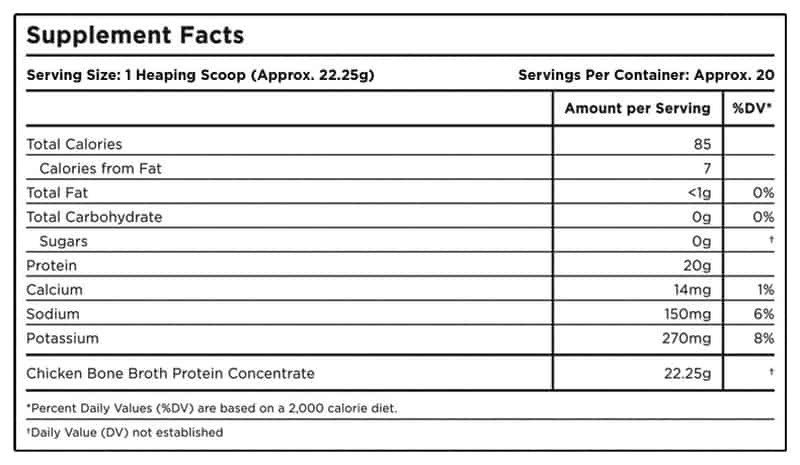 Bone Broth Protein is a NEW breakthrough in nutritional supplementation—making the benefits of bone broth available to everyone in a convenient, easy-to-mix, portable great tasting protein powder—complete with 20g of gut friendly protein per serving. This all natural, easily tolerable pure protein powder is gut friendly – which means no bloating or digestive unease – and comes with no added salt, sugars, colors, preservatives or artificial ingredients. 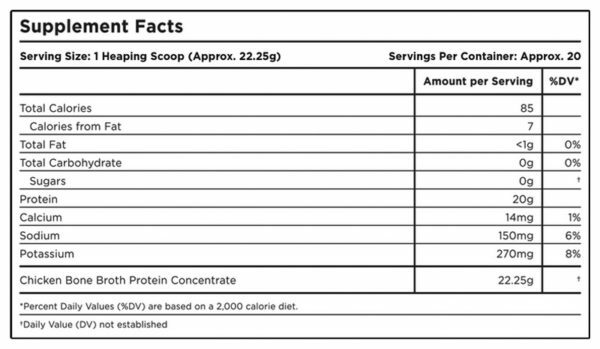 Bone Broth Protein is paleo friendly, free of common allergens and the ideal protein source for those who are sensitive to dairy, grains, eggs, beef, nuts, seeds and legumes. Carefully crafted quality you can trust and tested to be GMO free. Bone Broth Protein is all about delivering the health benefits of today’s hottest super food, bone broth – in an easy, convenient protein powder that mixes instantly in hot or cold liquids. Ideal to add to water, juices or smoothies and even your favorite recipes. Try it in hot water, season to taste, and you have a quick and easy bone broth beverage at your fingertips. No mess, no fuss – all the benefits. Bone Broth Protein begins as a true bone broth liquid. It’s then dehydrated, making it into a concentrated source of high-quality, tasty powder. 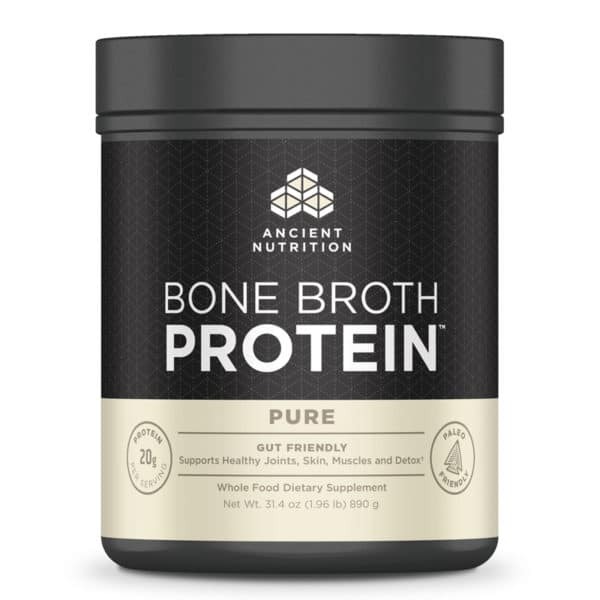 A quality Bone Broth Protein powder comes with the same benefits of a homemade broth, but it’s also just as beneficial for digestion† and even more versatile in so many recipes. Versatile and convenient – enjoy hot or cold, add to recipes, etc.